The Pharmaceutical sciences building at The University of British Columbia is an impressive state of the art structure with an integrative learning environment. Bright and spacious, solid wood desktops are warmed by daylight beneath large picture windows where students can plug-in lap tops and other mobile devices. An airy lounge engulfs the main floor capped with high ceilings and comfy chairs where students can gather to talk about lectures, study or socialize. 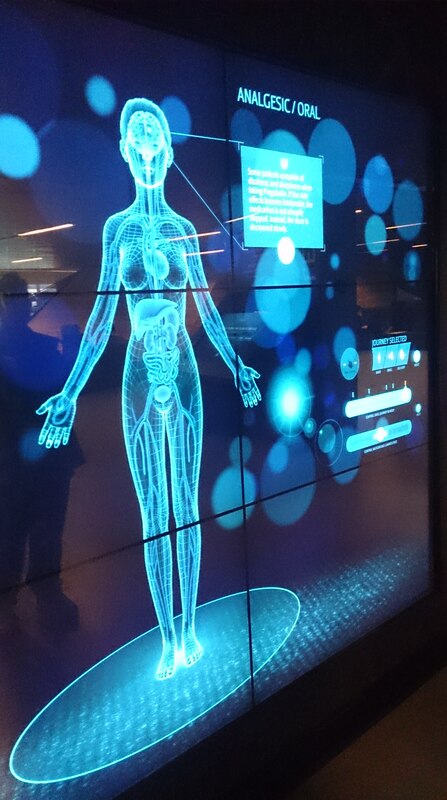 On the second floor are interactive walls with touch technology displaying the route of medications as they travel through the body. Large lecture halls hidden behind double doors provide educational sanctuaries. School has changed since I last sat behind a desk – laptops and tablets have replaced ball point pens and blank notebooks, popping up on tables like prairie dogs poking their heads out of the ground. 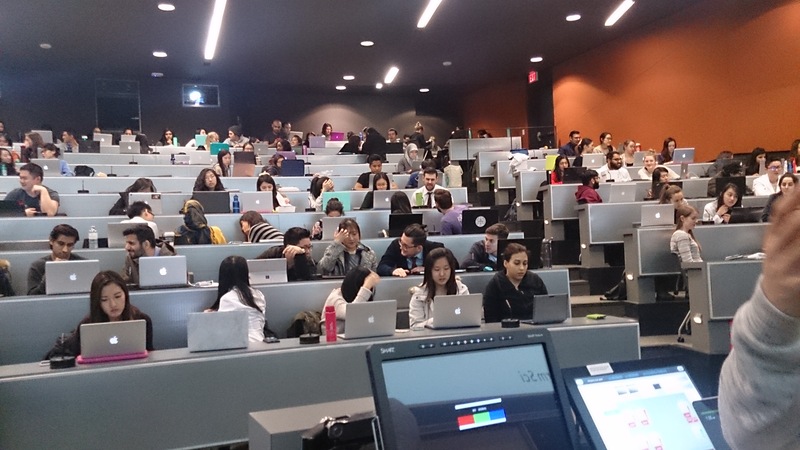 I had the unique pleasure to participate in a presentation with first year pharmacy students as part of a new care model called “patient centered care”. I along with Kelly English, another RA advocate, were there to share our personal experiences living with RA, focussing on the relationship we had with our pharmacists. It was the students’ task to listen and to assess what went well and what could have been improved in each of our encounters. The pharmacist is the health care provider we will see most often in our journey through chronic illness. They play an important role in managing our care, especially when many of us are juggling a multitude of medications. It’s important for them to understand us as patients and for us to take advantage of their knowledge. I want my pharmacist to be understanding, approachable, and not be a robot; to inform me, reassure me, give me time to ask questions, but don’t scare me with side effects. Offer to follow-up with me after the first visit and ask me how things are going. During maintenance remember me, remind me, and don’t hesitate to make suggestions that might improve my life; be thorough beyond my refill and prompt me as a partner in health. Two different stories by two different patients – one relatively new to the disease, and one who had lived with it for over twenty years. How did our respective experiences differ and how could they be improved? What were the underlying messages in our stories? As a new patient with a new diagnosis, I remember feeling uncertain and overwhelmed. I had no idea what to expect, no indication of where my journey into chronic illness would take me, and I was suddenly faced with the unfamiliar prospect of being on medication for the rest of my life. Did the pharmacist I first approach sense my hesitation and my uncertainty? I will never know. The patient experience is different for everyone. I use a global pharmacy and usually encounter a different person each time I go in to pick up my medication. These brief meetings are polite and respectful, but I sometimes lose out on feeling as though I am an individual. In contrast, Kelly uses an independent pharmacist who knows her entire history. He has a relationship with her; he is aware of her mood and disposition from the first moment she walks through the door. He asks her questions and notices changes in her record. He suggests ways to make life with RA more comfortable. It was a wonderful experience. I was pleasantly surprised to learn that the students wanted to hear more of our story. They felt the time had been too short – they wanted longer than 50 minutes of class time to learn more about life as a patient, about life with RA, to engage us in conversation, and workshop solutions. This is the ideal and powerful change developing in health education today. Our healthcare is continually evolving. The medical team has expanded beyond the general practitioner and specialist to include nurses, therapists, dietitians, social workers and pharmacists, just to name a few. The concept of a team environment in managing chronic illness is extremely beneficial. Having perspectives from different areas of health and treatment allow us to live as full a life as possible. These students are the pharmacists and caregivers of the future. Sharing our individual stories can help them connect with patients as individuals and flush the shadowy gaps in patient care with vibrant colour. Thank you to Cheryl Koehn, Raj Prakash and Kelly English for inviting me to be a part of this wonderful experience. That’s interesting. In my experience, the pharmacist is far removed from actual patient interaction. You do have to sign off that you don’t need “counseling” when picking up a prescription at the drugstore, especially when it’s a new one. But for the most part, the pharmacist is a faceless person whose name is on the prescription label on your medicine bottle. And that name can change from month to month. We mostly deal with pharmacy techs who handle the logistics of dispensing medications that we assume have been approved by the pharmacist. I always verify that I have been given the correct prescribed medication before I leave the checkout counter. To err is human as they say, and I have been in the business too long to have full trust. There’s been at least one occasion where the pharmacist insisted that the wrong medication was the right one. It happened to be for my asthmatic son. She wanted to give me a steroid inhaler, instead of the prescribed, and very necessary, bronchodilator. I guess my motto is: don’t trust and verify. This course is trying to change the role of the pharmacist by teaching students to be an active part of our health care instead of just someone behind the counter. They should support our treatment, not conrtradict it. In the end, your doctor and/or specialist always has final say in your treatment, so yes, I agree with always verify. Just like any health care worker, there will always be those exceptional few that go over and above their duties, and those are the kind of workers we love to see. Thanks so much for your perspective and hoping you are well. X. What a great experience! (I’m jealous!) We tend to forget what a crucial role our pharmacist plays in our health care team. I resist insurance company requests that some prescriptions are filled via mail and others at retail pharmacies and others still at “cheap” pharmacies. I want all my medication at the same pharmacy so the pharmacists can know immediately about any potential drug interactions or problems. Thanks for a great post. So glad you got to participate! Yes, there are many advantages to staying with the same pharmacy. They know your history and come to get to know you. I am so happy students get opportunities like this to connect to the patient experience and I enjoyed talking to them about mine. X.